1867 Birth: Wilbur Wright: American inventor and aviation pioneer. 1886 Birth: Ernst Thaelmann: German politician, leader of the Communist Party of Germany (KPD) during much of the Weimar Republic. He was arrested by the Gestapo in 1933 and held in solitary confinement for eleven years, before being shot on Adolf Hitler's orders in 1944. With "The Great Dictator" Chaplin joined the sound-picture ranks. A ferocious ridicule of Hitler and Mussolini, the film has grown in stature over the years as its political implications have been, according to critics, more fully realized. 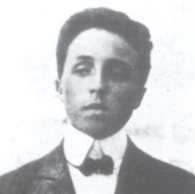 "I want to see the return of decency and kindness," Chaplin said at the time. "I'm just a human being who wants to see this country a real democracy . . ."
Despite "The Great Dictator," the nineteen-forties were difficult years for Chaplin. His private life provided a headline festival for the tabloid press; he was vexed by income tax trouble; his wartime speeches calling for a Western second front to crush Hitler irked many conservatives; and "Monsieur Verdoux" did poorly at the box office. This fugue of troubles was intensified by the advent of the cold war. The actor came under fire for introducing Henry A. Wallace at a rally and for protesting the deportation of Hanns Eisler, the composer and a onetime Communist. Westbrook Pegler, the columnist, denounced him, and Representative John E. Rankin, a right-wing legislator from Mississippi, demanded his deportation. Chaplin's life "is detrimental to the moral fabric of America," Mr. Rankin asserted, urging that he be kept "off the American screen and his loathsome pictures be kept from the eyes of American youth." 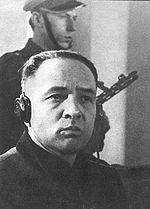 1907 Birth: August Eigruber: Austrian war criminal; the Nazi Gauleiter of Oberdonau (Upper Danube) and Landeshauptmann of Upper Austria. On April 16, 1917, Vladimir Lenin, leader of the revolutionary Bolshevik Party, returns to Petrograd after a decade of exile to take the reins of the Russian Revolution. One month before, Czar Nicholas II had been forced from power when Russian army troops joined a workers' revolt in Petrograd, the Russian capital. Born Vladimir Ilich Ulyanov in 1870, Lenin was drawn to the revolutionary cause after his brother was executed in 1887 for plotting to assassinate Czar Alexander III. He studied law and took up practice in Petrograd (now St. Petersburg), where he associated with revolutionary Marxist circles. In 1895, he helped organize Marxist groups in the capital into the "Union for the Struggle for the Liberation of the Working Class," which attempted to enlist workers to the Marxist cause. In December 1895, Lenin and the other leaders of the Union were arrested. Lenin was jailed for a year and then exiled to Siberia for a term of three years. After the end of his exile, in 1900, Lenin went to Western Europe, where he continued his revolutionary activity. It was during this time that he adopted the pseudonym Lenin. In 1902, he published a pamphlet titled What Is to Be Done? which argued that only a disciplined party of professional revolutionaries could bring socialism to Russia. In 1903, he met with other Russian Marxists in London and established the Russian Social-Democratic Workers' Party (RSDWP). However, from the start there was a split between Lenin's Bolsheviks (Majoritarians), who advocated militarism, and the Mensheviks (Minoritarians), who advocated a democratic movement toward socialism. These two groups increasingly opposed each other within the framework of the RSDWP, and Lenin made the split official at a 1912 conference of the Bolshevik Party. Lenin opposed World War I, which began in 1914, as an imperialistic conflict and called on proletariat soldiers to turn their guns on the capitalist leaders who sent them down into the murderous trenches. For Russia, World War I was an unprecedented disaster: Russian casualties were greater than those sustained by any nation in any previous war. Meanwhile, the economy was hopelessly disrupted by the costly war effort, and in March 1917 riots and strikes broke out in Petrograd over the scarcity of food. Demoralized army troops joined the strikers, and on March 15 Nicholas II was forced to abdicate, ending centuries of czarist rule. In the aftermath of the February Revolution (known as such because of Russia's use of the Julian calendar), power was shared between the ineffectual Provincial Government and the soviets, or "councils," of soldiers' and workers' committees. After the outbreak of the February Revolution, German authorities allowed Lenin and his lieutenants to cross Germany en route from Switzerland to Sweden in a sealed railway car. Berlin hoped (correctly) that the return of the anti-war Socialists to Russia would undermine the Russian war effort, which was continuing under the Provincial Government. Lenin called for the overthrow of the Provincial Government by the soviets, and he was condemned as a "German agent" by the government's leaders. 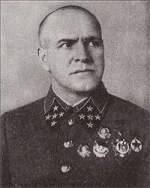 In July, he was forced to flee to Finland, but his call for "peace, land, and bread" met with increasing popular support, and the Bolsheviks won a majority in the Petrograd soviet. In October, Lenin secretly returned to Petrograd, and on November 7 the Bolshevik-led Red Guards deposed the Provisional Government and proclaimed soviet rule. Second Battle of the Aisne River—in northern France—begins when commander Robert Nivelle launches an offensive. The French armies attack on a 40-mile front between Soissons and Reims to take the Chemin des Dames, a series of rocky, wooded ridges running parallel to the front. 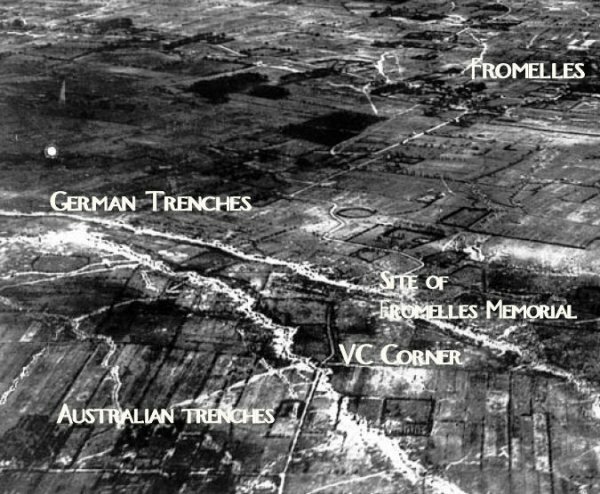 The Germans, fully aware of French plans as a result of Nivelle's confident public boasts, turn the assault into a disaster. The entire operation is a colossal failure, costing the French nearly 120,000 men in 5 days. 1922 Treaty of Rapallo: under which Germany recognizes the Soviet Union and diplomatic and trade relations are restored. Note: A secret annex will be signed on July 29 allowing Germany to train their military in Soviet territory, in violation of the Treaty of Versailles. 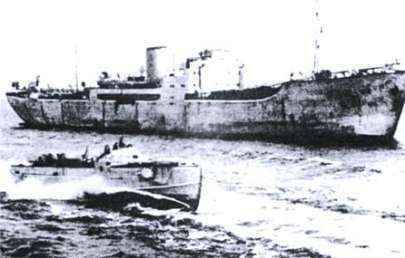 The Italian convoy Duisburg—directed to Tunisia—is attacked and destroyed by British ships. 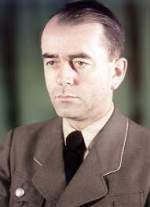 At the end of the conference the German commentator declared that on Tuesday, 20 April (the Fuehrer's birthday) the newspapers would consist of four pages instead of two, and on Wednesday, 21 April, they would consist of two pages instead of four. 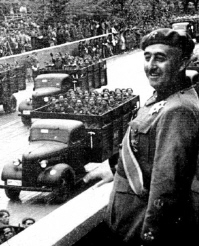 He asked the reporters present to stress the European orientation of the Fuehrer's political personality and to treat Franco-German relations very generously. A great deal of tact and reserve are necessary, however, in order not to give the newspapers the appearance of being no longer French, and in this way shocking public opinion. 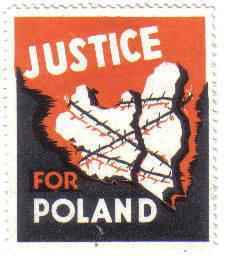 Katyn Massacre: The Polish government in exile in London asks for a Red Cross investigation of the mass murders in the Katyn Forest. The German ship Goya—overfilled with refugees—sinks after being torpedoed by a Soviet submarine, killing more than 7,000 people. Anthony and I saw Harry Hopkins this morning . . . . He had not been greatly surprised by the President's death, and was thankful he had not had a stroke and lost power like Wilson. For some time he had noticed how much the President had failed. He had been able to do only very little work. He judged the President's death to have created a completely new situation in which we should be starting from scratch. One thing we would be certain of would be that the policy would be very much more the concerted action of the Senate. How this would work it was quite impossible to predict . . . . 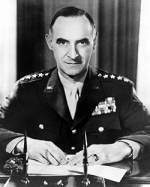 It may be of interest that Truman's hobby is history of military strategy, of which he is reported to have read widely. Edward and I paid our first call on the President this morning. He made a good impression . . . . My impression from the interview is that the new President is honest and friendly. He is conscious of but not overwhelmed by his new responsibilities. His references to you could not have been warmer. I believe we shall have in him a loyal collaborator, and I am much heartened by this first conversation. 1. I consider close and lasting friendship with Russia is the keystone of future Polish policy, within the wider friendship of the United Nations. 2. To remove all doubt as to my attitude, I wish to declare that I accept the Crimea decision in regard to the future of Poland, its sovereign independent position, and the formation of a Provisional Government representative of National Unity. 3. I support the decision arrived at in the Crimea that a conference of leading personalities be called with a view to constituting a Government of National Unity, as widely and fairly representative of the Polish people as possible, and one which will command recognition by the three major Powers. President Harry S. Truman: In his first speech to Congress, Truman pledges to carry out the war and peace policies of his late predecessor, President Franklin D. Roosevelt. It was said that military protection against the East would have been necessary to protect refugees. In reality, until the middle of April 1945, the bulk of our last reserves of armored vehicles and munitions were used for the fight against the West. The tactical principle, therefore, was different from the one it should have been if the fight had been carried out with the aims which have been stated here. The destruction of bridges in the West and the destruction orders against the basis of life of the nation show the opposite. The sacrifices which were made on both sides after January 1945 were senseless. 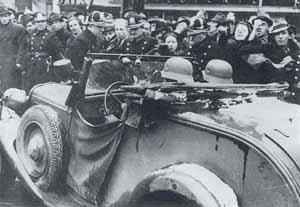 The dead of this period will be the accusers of the man responsible for the continuation of that fight, Adolf Hitler. The same is true of the ruined cities, which in this last phase had to lose tremendous cultural values and where innumerable dwellings suffered destruction. Many of the difficulties under which the German nation is suffering today are due to the ruthless destruction of bridges, traffic installations, trucks, locomotives, and ships. The German people remained loyal to Adolf Hitler until the end. He betrayed them with intent. He tried to throw them definitely into the abyss. 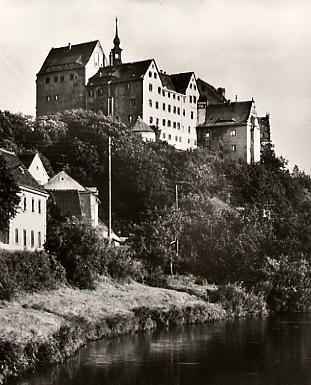 The United States Army liberates Nazi Sonderlager (high security) Prisoner of War camp Oflag IVc (Colditz Castle). US troops also reach the outskirts of Nuremberg, Germany. 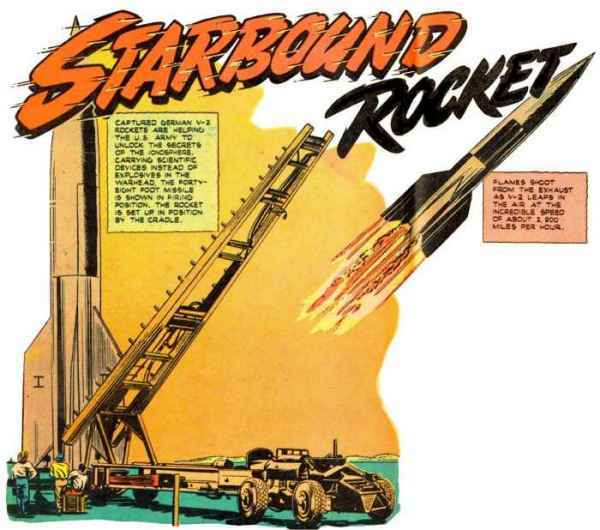 1955 Wunderwaffen: The Soviet Government announces that a permanent high-level, interdepartmental commission for interplanetary communications has been created in the Astronomic Council of the USSR Academy of Sciences. A group of Russia's top scientists is now officially working on a satellite program.